The author and the publisher has highest regards for the institution including judges. The aim of the post is to highlight the need of developing a disabled/differently abled friendly infrastructure in the Supreme Court. The readers are advised to read the article in this context alone. A miscellaneous day. A jam-packed courtroom. Litigants, advocates and court staff. Two judges. A list of cases, files and reported cases of the Supreme Court in binded SCCs all around. The scene inside Courtroom No. 10 yesterday was not different than any other miscellaneous day. I was waiting for a matter in which I had briefed a senior advocate. Hardly did I know that something shocking was minutes away. Item 13 was called. The advocate appearing for the petitioner Prem Kumar (Diary No. 30649/2017) apprised the court that as per the last order, the petitioner was personally present inside the court. She asked the litigant to come forward by a gesture. Fortunately, I was paying attention and, in a reflex action, turned sideways only to note that the litigant was physically challenged (not sure whether it was temporary or permanent disability) and was being brought to the court on a wheelchair. He was old, roughly in his late 60s. It was quite visible that he could not walk and his son was accompanying him and pushing his wheelchair. I was astonished to note that Justice Arun Mishra asked the litigant to get up from the wheelchair and walk till the podium. Justice Mishra might have wanted to personally examine the veracity of the claim. I do not know about it and do not wish to comment on why he asked so. The litigant managed to get up with support from his son. He could not walk on his own. His son had to put his hand around his shoulder and walk along with him. No sooner than he reached the podium and stood balancing himself, Justice Arun Mishra pronounced the order, issued notice on the SLP as well as on delay. The litigant was accompanied by his son again to his wheelchair, who took him outside slowly. There were meek voices amongst the members of the bar present there, but no one could object. I could not contain myself and met the litigant outside the court near Gate D along with a friend at bar. He told me that he had an accident claim case. He was visibly very upset for being called all the way from Indore for 10 seconds. I consoled him and told him that he would get justice. I wonder why he was called to the court. Injuries could be proved by doctor’s evidence or a medical report. There are alternative methods of personal satisfaction of judges, including using local commissioners. 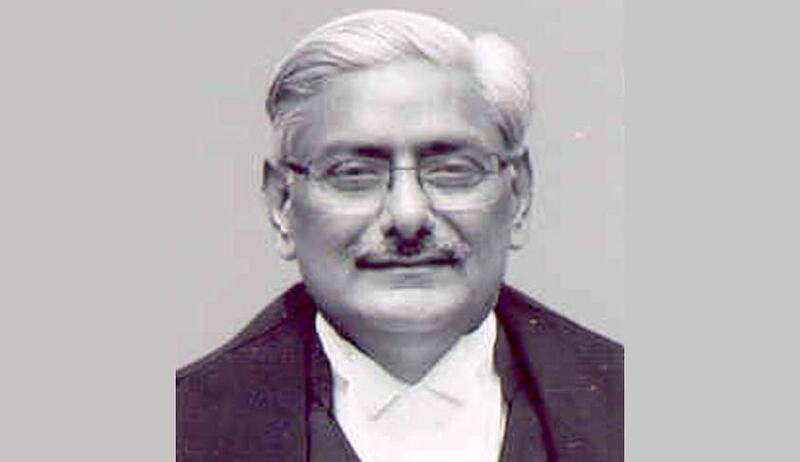 Perhaps, Justice Mishra also felt the litigant’s agony and issued notice to send him back immediately. Justice Gautam Patel at Bombay High Court had ordered that all courtrooms should be disabled friendly. The need for cameras in courtrooms or live video streamlining of courts has been voiced for quite some time. The Supreme Court recently supported the need for use of video-conferencing in handling litigations. It would have been definitely not easy for the litigant yesterday to have travelled from his house in Indore to the railway station, board train, travel to reach Delhi, accommodate himself in a hotel/relative’s place and then travel to the Supreme Court, get his pass made, go to the first floor and enter courtroom No. 10 which has no slope but stairs – all the while confined in a wheelchair. We can only presume to feel the agony and difficulty he must have gone through. The Supreme Court had recently pulled up the Centre for failing to structure disabled-friendly buildings. It has also directed the states to meticulously follow pro-disabled laws.